About 100 tickets for Saturday's Six Nations match between Wales and England in Cardiff have been cancelled by the Welsh Rugby Union (WRU). It claims tickets sent to an unnamed rugby club were sold via hospitality company VU Ltd, breaking a High Court ruling and terms and conditions. The WRU has issued three High Court injunctions since 2017 against hospitality firms, including VU Ltd. VU said it has complied with the court order and terms and conditions. Tickets must only be resold by authorised companies and tickets sent to member clubs must not be resold above face value. The WRU said: "The cancellation follows the discovery that the rugby club had been collaborating with VU Ltd, an unofficial hospitality provider run by former England rugby international Victor Ubogu, to sell tickets to VU Ltd hospitality customers whom VU Limited had introduced to it. "Unfortunately, we cannot guarantee tickets that are not bought from official sources and supporters who arrive with tickets that have been sourced in this way do risk being turned away. It added: "Since 2017, we have obtained High Court injunctions against Trihorn Enterprizes Limited, Evental Ltd and VU Limited. The WRU remains committed to pursuing breaches of its ticket terms and conditions. 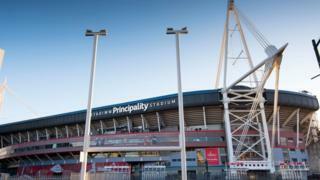 "The Court Order against Evental Ltd in 2017 led to approximately 200 tickets being cancelled for Wales' Six Nations game with Ireland that year." A spokesman for VU Ltd said: "We have not done anything wrong. We have complied with the court order and and with terms and conditions." Correction 22nd February 2019: An earlier version of this story incorrectly reported that VU Ltd had been issued with a court order in 2017 which led to cancelled tickets when it should have said it was Evental Ltd.